Barely a year ago, Locked in a Room burst on to the scene in Bristol. A scene that was destined to become very crowded, very quickly as five different companies vied for the custom in the town. In spite of that, Locked in a Room rapidly grew to eight rooms, running two different games. Fast forward a year and they’re now opening in London. New games in the capital are an almost monthly occurrence recently and yet Locked in a Room’s arrival is still one of the most significant pieces of news in quite a while. Why? Well, the venue promises to be the single biggest in the country, possibly even Europe. The rooms are slowly coming into service but within a month or two, the plan is that 13 rooms should be running at the site with the option of playing either of their Bristol games – Invisibility Gene and Timelock. It doesn’t take much thought to realise what sort of market they’re after – with a capacity of up to 78, of which 48 could play the exact same game, it’s the perfect draw for the corporate market. 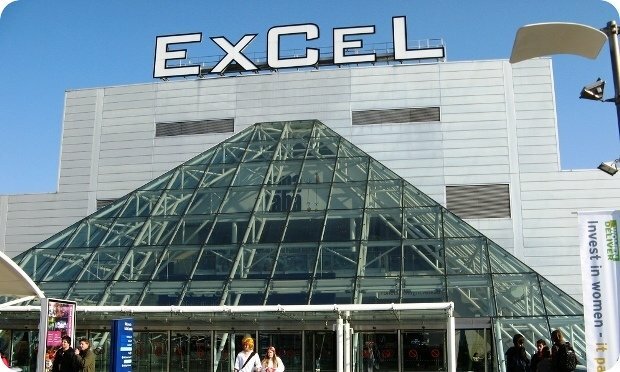 Add to that the location in the ExCel centre and you can be under no doubts – this company is most definitely looking at getting in large groups of people for team-building events and their website confirms it. TripAdvisor reviews from their Bristol location are almost unanimously positive so, hopefully, they’ll provide a great introduction to the corporate market and, with only two games to play, will soon be sending players to other escape venues within the capital. Over in Timelock, you are respected scientists individually working on secret government funded projects in laboratories located in an abandoned warehouse around the Docklands of London. One of the scientists, Professor Samuel Pottenger, has just been dragged kicking and screaming along the corridor by unknown armed assailants. Pottenger is known to you as a very level headed man of immense intelligence and absolutely not one prone to an emotional outburst… Discover his secret. The games can accommodate 3-6 people with a straight £30 charge per player. ClueTrace – could it be a special service for when you’re in an escape room and you *know* you’ve found something that should help with a puzzle but you can’t for the life of you remember *where* you put it? Well, unsurprisingly no, but this escape room enthusiast can but dream. ClueTrace is, of course, a new escape room venue. More specifically, an escape room that opened in London just a couple of weeks ago with a single room, Mind Crime. There may be only one room but it’s particularly interesting for two reasons. Firstly the room has been imported from Budapest. That’s by no means a guarantee of quality but at the very least it means it’s unlikely to be a total failure – Budapest has enough escape rooms that a sub-standard one wouldn’t last long. It also means that it’s likely to have been play tested reasonably well and while a new population means additional tweaks will likely be needed, those are likely to be much smaller than for a brand new game. The other interesting thing about this game is that it’s quite a departure from the usual stories you find in rooms. As the name Mind Crime hints, you’re tasked with perpetrating a crime inside someone’s mind. According to the website, your team becomes a part of our special group of thieves, who intrude into the minds of wealthy people to get access to their passwords and their fat bank accounts. 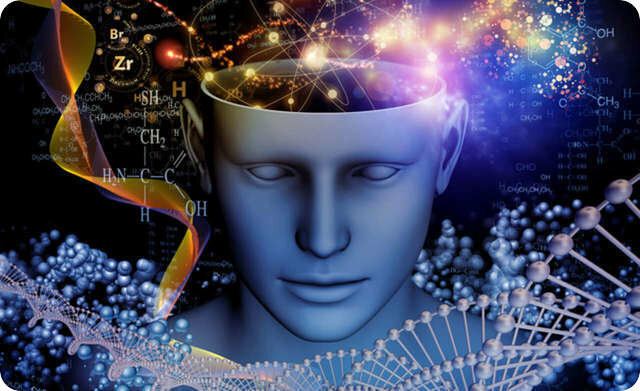 You’ll step into the mind of a person to search among their memories to find the secret code that makes you rich. The game is suitable for 2-5 people and costs £65-108 per team, depending on numbers. Note that there’s an opening discount offer listed here. So, if you’ve always wanted to be a psychologist but don’t fancy the multi-year process to qualify, now’s your chance to step inside someone’s mind and see if you can work out what’s going on. The West Midlands is one of the least served areas of the country, with only a handful of escape rooms to serve a population of over 5 million people. There’s surely scope for growth in the area, so it’s great to see Clockwork Escapes opened last weekend in Wolverhampton. Indeed with the immediate customer base in the town itself and easy access from Birmingham, it seems like a great opportunity for both short term and long term growth. To start with, they’re opening two games: Alleyway and the Nolan Exhibit, and plans are already in the works for a third, Where there’s a will…, and should things be successful I’m told there’s room for further growth at the premises. In their other game, Professor Thaddeus Clockwork delivers players to the Nolan Exhibit, a personal museum of art and relics from history gathered by the eccentric billionaire Alexander Nolan. Your task is to steal the Nolan Diamond, one of the largest and most valuable on the planet. Your window of opportunity is brief, as the museum is currently closed for renovations and the guards can only be distracted for so long. You will have to solve a myriad of different mysteries in a non-linear web of puzzles to gain access to the diamond itself, then to escape before anyone notices it is gone. Both rooms cost admit 2-6 players and cost £44-90 depending on numbers. If you’re a student, or bringing one along, then you can get a discount – details on their website. Let’s hope your escape goes like clockwork! The M4 corridor seems to be picking up escape rooms as fast as anywhere in the country, with Swindon joining in the action this time around. Incarcerated opened its doors right at the end of August with two games. Surely a perfect stopping point for those of you in London planning a trip across to Wales? In Dose of Death, a large number of the local community have fallen ill, the latest a very close friend of yours. You have been trying to get the bottom of things as you have a strong suspicion that a well regarded local doctor is behind the outbreak. After overhearing a strange conversation while out at a restaurant between two local MPs your theory seems even more feasible. But how will you prove that this well respected local figure has sinister intentions? You and a friend have snuck into the rogue doctor’s office to investigate, but have been accidentally locked in by the cleaner. This gives you the opportunity to search for evidence to prove your theory. Time is ticking, the cleaner will be back in 60 minutes to check the building before locking up, can you find what you need and escape the office before you get caught? Remember, don’t get found out or you could end up being the next victim of this diabolical doctor’s evil plan.. Meanwhile Prisoner of War has quite an unusual theme set within the Vietnam War. It’s August 8th 1971, you and your squadron are deep in the Vietnamese jungle and are under heavy fire from the advancing Viet Cong troops. Your team spread out to try and find better cover as your camp is now overrun by the communist opposition. Several of your comrades have been killed in action but you and a small number of troops have managed to retreat to a safe distance. You have been made aware that during your retreat attempt your leading commander has been captured on the battlefield and is being held in a cell deep behind enemy lines. You and your squadron have made the treacherous hike back into the jungle to find your commander as you would never leave a good man behind. After discovering the location of his jungle cell, you and your team tunnel into the guard’s office where you discover your commander is still alive but locked in a small cell. All of a sudden, the tunnel you dug to enter the room collapses so not only is your commander still trapped in the cell but you find yourselves in the locked guard’s room with no way out. Can you find a way to get your commander out of the cell and escape the guard’s office before they return? It’s great to see a theme so carefully developed, especially one that’s so different from others. Let’s hope the room is as good as the introduction! Both rooms are open Wednesday to Sunday and cost £38-90 per team depending on where you fall on the permitted team size of 2-6. With over 400 rooms to tackle across the UK, you have to be very unlucky not to have relatively easy access to an escape room. What if you want to take along children though? Well, then things get a lot tougher. Room guidance varies but most places dissuade you from coming along with children under the age of somewhere between 8 and 11. Even then, there’s a strong hint that the children will suffer. There’s clear evidence that some locations will allow children in from a much younger age, even babies, but then the children aren’t really participating. What options are there for children in the escape room world and around? The Room, in Glasgow, was probably the first to have a room specifically targeted at children. Its Party room specifically caters to parties of children under the age of 14 with no adult supervision required. 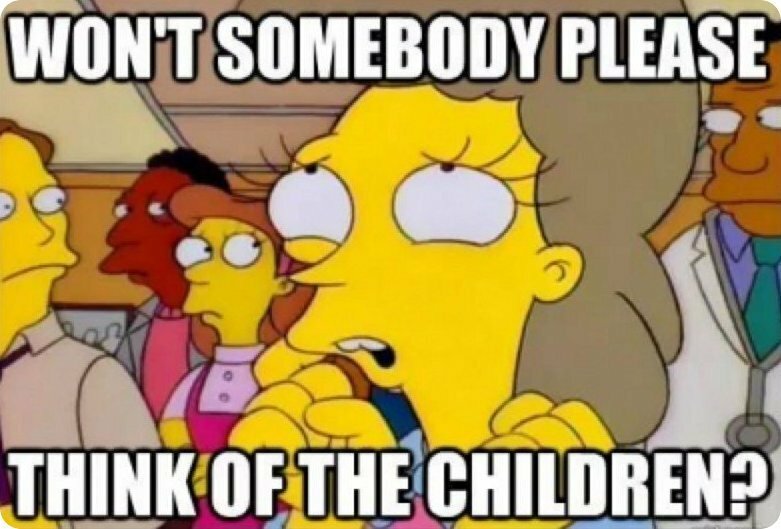 They still recommend that children be at least ten, although they specifically say that a ten year old’s party with nine year olds would be fine. The Panic Room Harlow are planning on opening a room dedicated to children, aimed at ages 5-10, called “The Lost Treasure of Captain Panic”. As far as this site is aware, that’s the first room in England aimed specifically at children and the first in the UK to be aimed at such a young age. If you can get to London and fancy something a little more educational (but, by the looks of it, plenty of fun) then “I’m a Kid Get Me Out Of Here” offers the perfect answer. Their game sees you enter into a space ship, solving puzzles to help the professor retrieve his tetromino crystals and restore his time machine to working order. It’s available over school holidays, usually in Blackheath but sometimes elsewhere (they’ll be in Bromley later this month). If you’re feeling especially keen, they also offer an option where they can come to a school for an extended period and run it as a curriculum based activity. If you’re over in Ireland then perhaps GoQuest will appeal? It’s suitable for children over the age of 8 and with a variety of different challenges it’s likely you can steer them towards the games that are most age appropriate and still get plenty out of the day. Of course, one option is not to leave home at all. There are a variety of escape board games now available and, once you’ve had a go yourself (as research obviously, to decide whether they’re suitable! ), you could let your children take part. What could be more fun than games mastering your own child through an escape room? Any other ideas for child-friendly escape-room-like activities? Comment below! Wales was a late adopter of escape rooms, with the first only arriving at the start of this year. When they finally did arrive there was a rush, with rooms opening seemingly every month in 2016. That was South Wales, though, and North Wales looked on with envy. 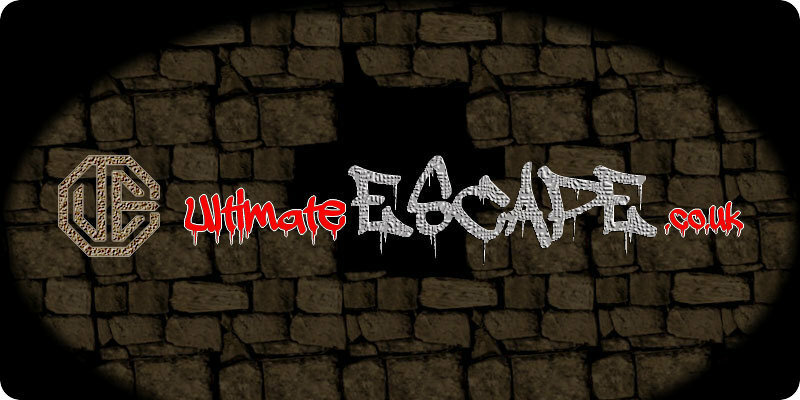 That was, until Ultimate Escape opened its doors in August. Located in Llandudno, half way along the northern coast, there’s a clear aim to catch the tourist market as people visit the seaside and are maybe looking for something to do on a rainy day. The first room, CSI Murder Mystery, opened in mid-August. It’s unusual, probably unique in the UK, in that different players can take on different roles within the game – for example forensics and pathology. The closest existing games are prison/kidnap scenarios where one or more of your players is locked up for part of the game but in this game different clues are tagged for different roles. According to the owner, teams can choose to role-play or just approach as a normal escape room. In the game DCI Bodgit and his overworked sidekick Sergeant Leggit, who prior to joining the police force had a building firm together called Bodgit and Leggit, are faced with a particularly puzzling murder case. You play the part of Sergeant Leggit, DCI Bodgit and their supporting forensic and pathology teams. To solve the murder you will need the Pathologist’s report to ascertain time of death and the findings of the Forensics Team to place the guilty at the scene and rule out the innocent. Interview the suspects and break alibis with eye witness reports. Plus that little extra that no copper can do without. Gut feeling. Their second room, Escape from the Future, is in the process of opening. According to the story, your crazy friend, Prof Iterole (the Mad Professor), announced that he had invented a time machine and asked you to take it for a test drive. Like a fool you agreed. Your quest is to get back to your own time. After all, your dinner is nearly ready. Or was nearly ready. Or will be nearly ready. You have to discover what went wrong with the time machine (well something had to, didn’t it?) in order to find out what time you are in now (or to be more precise, exactly what time now is) and get back to your own time in time for dinner. The website suggest this is an unusual game as well, with multiple sequences of clues, only some of which you have to follow and a rule that says you mustn’t do anything in the past that could affect the future. You’ll be pleased to hear that they do confirm you won’t be required to become your own Mother or Father, but you will be required to have fun! Both games take 2-6 players and cost £48-115 depending on numbers. For a major city, there hadn’t been much happening on the escape room scene in Dublin for a surprisingly long time. After a couple of openings in early 2015 things went relatively quiet as the UK and the rest of Ireland caught up. That was, until August when, as is often the case, two new venues opened up at almost the same time. 1) The first to open was Bolt Dublin, located about a kilometre from the city centre. It offers two games: Casino Heist and Detention Time. In Casino Heist you have to get past the Dealers and Pit Bosses and breach security to land the Heist of the Century, escaping with the Gold Bars before you’re caught. Over in Detention Time, you have been wrongly ordered to spend an hour in after-school detention. You have 60 minutes to get out of the classroom and past the principal’s office so that you can enjoy your freedom. Games are suitable for 2-6 people and cost €56-96 per team, depending on numbers. 2) Opening just a few days later, and only around 200m away, was WeEscape Dublin, the second location of the escape room venture that started in Cork. They’ve taken their most recent games from their original location to the Irish capital – Da Vinci, Taken and Mission Impossible. Da Vinci follows a similar plot to the Dan Brown novel which cemented the link between Leonardo da Vinci and puzzles. Only a few knew that the murdered Jacques Saunière curator had a carefully hidden secret room in the Louvre. He hid a message in a Cryptex, that only the initiates can obtain. Now it’s time to unfold the big secret…However, Monsieur Saunière won’t give away so easily… You will be faced with code- breaking, symbolism and association problems and much more… In addition, Opus Dei, the secret society of the Vatican, will also be on their way. You have 60 minutes to find the Cryptex and escape from the room! Will you be able to complete your mission before Opus Dei arrive? In Taken you have to escape from a serial killer: After losing his wife from medical mistake, Mr. Jones became very quiet and odd…then he disappeared and nobody knows where he is. A year later, doctors were kidnapped from the city…every month…The police couldn’t find any sign of them. Now, it’s your turn. You have only 60 minutes but you should be fast, he is already on his way! Finally, for Mission Impossible you are tasked with preventing an attack on Paris’ most well-known landmark. Dr. Red is an atrocious wicked mind. His aim is to destroy the whole world at any cost. As the first part of his vicious plan, his attempt is to blow up one of Europe’s most famous symbols of liberty, The Eiffel tower in Paris. You are IMF agents (Impossible Mission Force) with the task to prevent him in doing so. Will you be able to deactivate all four bombs placed at the foot of the tower? Get to the control room and deactivate all the bombs! 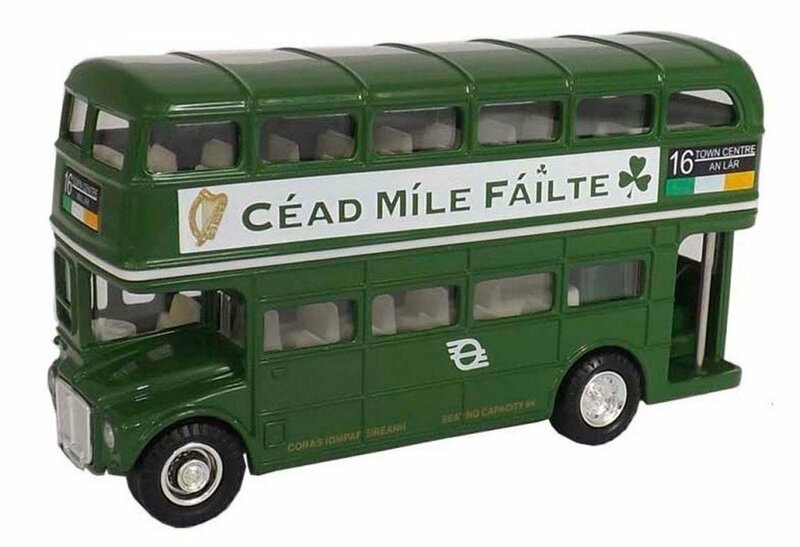 Games are suitable for 3-6 people and costs a refreshingly simple €60 per booking. When Lerwick, the administrative capital and largest centre of population of the Shetland Isles, got an escape room, it was pretty safe to say that nothing would take its title as the northernmost escape room in the UK. The Shetland Isles are the most northerly part of the UK and more than half of their ~23,000 population lives within ten miles of that town. The average number of escape rooms per capita across the UK is around 7 per million population or around one for every 140,000 people. Even with a single room, Shetland is punching well above its weight. Pretty safe but, it turns out, not invulnerable and only a month after the first escape room opened on the archipelago, a second room followed suit. Escape Shetland is officially the UK’s most northerly escape game, situated in the former guardroom of ex-RAF base Saxavord, in Unst, Shetland. That’s at the northern end of the northernmost inhabited island in the northernmost part of the UK. This site thinks it’s safe to say that nothing will take the crown away from Escape Shetland, even if there are a couple of farmhouses situated a little closer to the pole. They opened in June with a single game in which you have been transported back in time to RAF Saxavord during the Cold War era. You have received information that a Soviet spy is operating on the camp and just as you were closing in on him or her, they have locked you in the guardroom. You must solve the puzzles to work out their identity, and escape the room in time. According to the website, the venue isn’t manned at all times so they recommend contacting them in advance to arrange a game rather than just, you know, turning up unannounced. It would be a real pity to make the trip all the way up only to find that they were on their lunch break. More seriously, they ask for 24 hours’ notice of a game but will try their best to accommodate you on shorter notice. Games cost £40 for 2/3 people, £50 for 4/5 people and £60 for 6 people. Escape rooms have spread across the UK and Ireland from the Shetland Isles to Penzance, from Galway to Margate and so many places in between. It’s interesting to muse what the furthest point from an escape venue now is within the British Isles – perhaps somewhere in the Outer Hebrides? Fortunately, even if the nearest venue is further than you’re willing to travel that doesn’t mean you have to miss out on all the fun. As previously mentioned, there are a variety of mobile escape rooms already operating but, realistically, they’re very expensive for a single game. 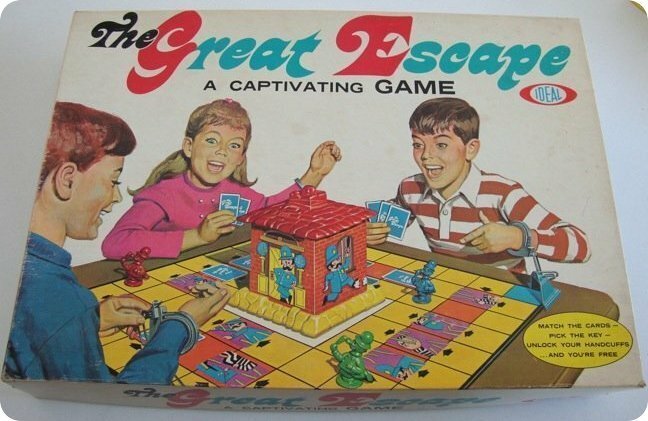 The good news is that table top games are starting to appear and while they’ll struggle to re-create the feel of a real escape game, they come at a fraction of the cost and are potentially significantly more convenient – no careful scheduling to make sure that everyone turns up at exactly the right time. For just two or three pounds per person players can treat themselves to an escape room in the comfort of their own home. Indeed there are now a number of different brands on the market and, if enthusiast channels are to be believed, more on their way. 1) Escape Room in a Box: The Werewolf Experiment. Following an incredibly successful crowdfunding campaign, Escape Room in a Box have been beavering away for the last six months getting ready to ship to their 2000+ backers. As is often the case with crowdfunding campaigns, there’s a long leadtime between making the order and receiving the goods but, according to their updates, they’re doing well and plan to ship by February 2017. In the meantime they’ve been popping up in boardgame and escape room conventions around the country. The game follows the story of Doc Gnaw who. The game states that it’s suitable for 2-6 players and lasts 60-90 minutes. The crowdfunding campaign might be over but it’s not too late to get in on the act – you can pre-order your copy for 60USD (although shipping to the EU will add almost 50% on top of that). If you’re still uncertain then you can read a variety of reviews on their crowdfunding campaign site including this one by this site’s friend and escape room reviewer, the Room Escape Artist. 2) First to get a game on to our shelves, with the “Escape the Room” series, was Thinkfun a toy maker focusing on the educational end of the market. They released Mystery at the Stargazer’s Manor several months ago in the UK and have recently followed up with Dr Gravely’s Retreat. Both games cost around the £15 mark with the former being aimed at anyone over the age of 10 and the latter at teenagers and above. Nominally they claim to last for 90+ minutes but, among the enthusiast groups, 30-45 minutes seems to be pretty typical. You can read reviews at the Room Escape Artist or, if you want a UK based opinion, the Logic Escapes Me (full disclosure – the author of the latter review is also the author of this article). Mystery at the Stagazer’s Manor is set in a small town in 1869 where a well-respected astronomer has not been seen since the untimely passing of his wife. Strange things have been happening at his manor – loud and unfamiliar noises, an unpleasant smell, and smoke billowing from the observatory. You and your friends enter to solve the mystery. According to their website, more Escape the Room games are planned for the future. The game is written by Identity Games but distributed by Spin Master overseas. 4) Enthusiasts who have read a little about the history of escape rooms will no doubt have come across SCRAP, considered by many to be the company behind the modern day concept of escape rooms. As part of their recent “Escape from the Submarine” game marketing they advertised a new take home game called PuzzBox. Initially available in a limited run of 100 copies priced at 45USD and only for local pickup in San Francisco they sold out in short order indeed. Given the success of SCRAP generally, and the popularity of this offering in particular, one would imagine that they’ll soon follow up with additional runs although this site has no idea if that will be restricted to North America or not. 5) Finally, a game that hasn’t even been translated into English yet but perhaps if your German is good or if you fancy really upping the difficulty level, then the EXIT – das spiel range is for you. According to the website, it’s suitable for players of 12 or above and they’ve currently got three different games that retail for about £15 apiece – the Pharaoh’s Tomb, the Secret Lab and the Abandoned Cottage. Know of any other escape rooms in a box? Please let me know via the comment box below or via email – details on the About page. Cheshire has had a long tradition of escape rooms with Clue HQ flying the flag from way back in mid-2014 and Escape Quest joining them not long after. 2015 was quiet but this year there has been a flurry of openings, the most recent of which is Escapism Chester, which opened in mid-August with four games. Sensibly, they’ve chosen a variety of rooms to appeal to a cross section of players, including tying in with the local history in the Amphitheatre game. This site thoroughly approves of any game that uses the local area for inspiration but Chester with its Roman heritage provides a particularly interesting backdrop. Taken is their easiest game, rated at 3/5 difficulty. In it your friends have been taken hostage and time is running out. The kidnappers have given you 60 minutes to meet their demands but you know where they’re hiding. It’s time to take matters into your own hands: can you keep your cool in a daring breakout? Their intermediate game is Espionage in which you’ve been trusted to retrieve some sensitive data but an everyday apartment isn’t what it seems. You’ve found the safe, now you need the key: this is no ordinary game of ‘finders keepers’. If you want something more challenging and a historical adventure is up your street then look no further than Amphitheatre where the roar of the Amphitheatre rumbles through your cell as thousands mercilessly bay for blood. The Roman guards are on their way to take you into the Gladiators’ arena but you still have time to avoid this gory fate. Escape your cell and have your vengeance. Finally, if Sci Fi is your vice then Area 51 might appeal . It’s a place that doesn’t exist, so no one is coming to your rescue. A virus has broken out in one of the top-secret testing facilities and there’s only one way out. Crack the code and escape the lab before it’s too late. All four rooms are open already and can accommodate two to five people. Pricing varies depending on numbers and timing: off peak games (weekdays starting on or before 5pm) are £12-18 per person while the peak rate is £14-20 per person. Brit of an Escape Habit has already played – you can see how they rated the game and read their review here.